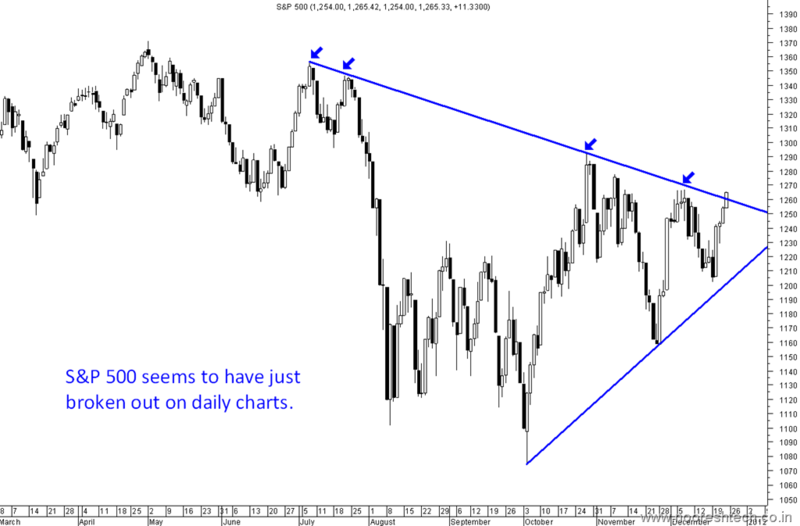 US Indices – Dow and S&P 500 / US Stocks look More Bullish and interestingly poised. 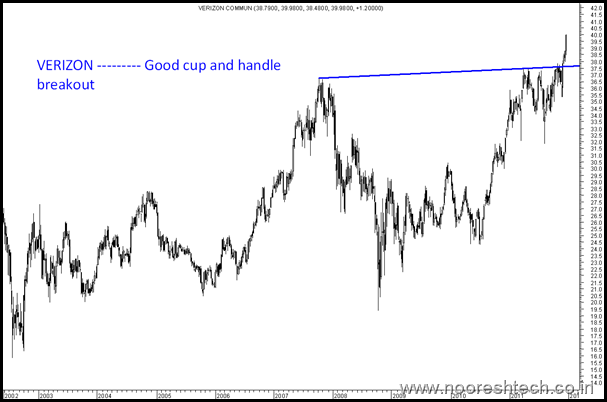 Although this post may be of zero interest but while looking at global indices and stocks came across some seriously bullish charts. 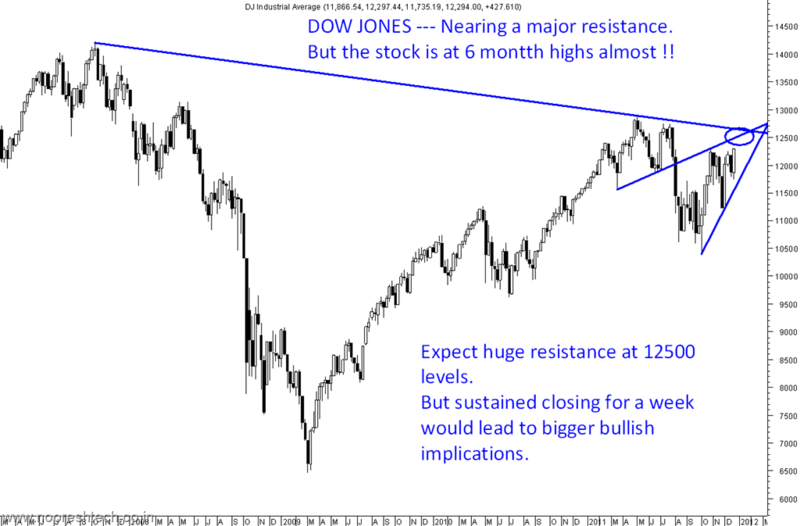 Dow Jones Weekly ---- Its reaching a crucial resistance zone of 12500. 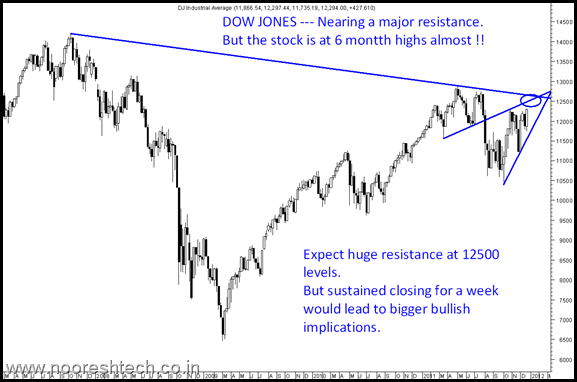 Although one may even take it as a rising wedge but sustained closing above 12500 for a week will open very big bullish implications. 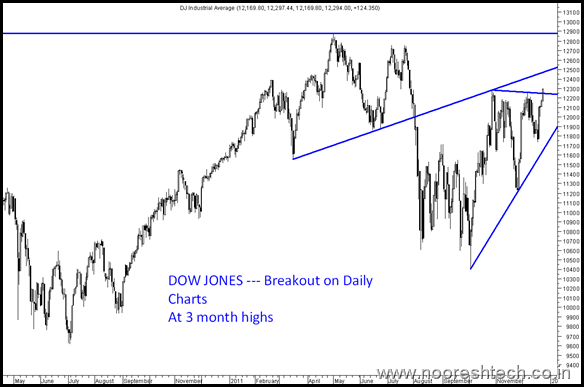 Dow Jones Daily Charts ----At 3 month highs amidst gloom !! 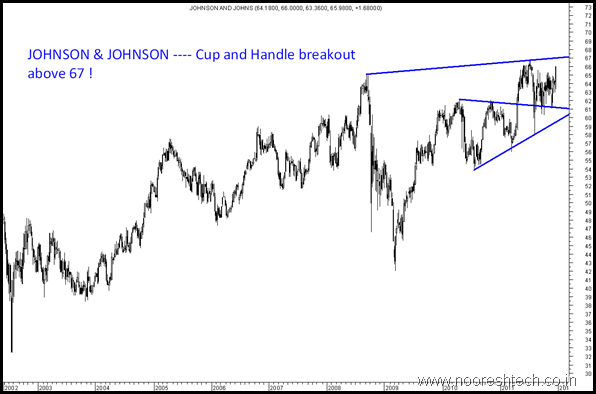 Exxon can get into a huge move if it starts closing above 85-88 Big Inverted Head and Shoulders ! 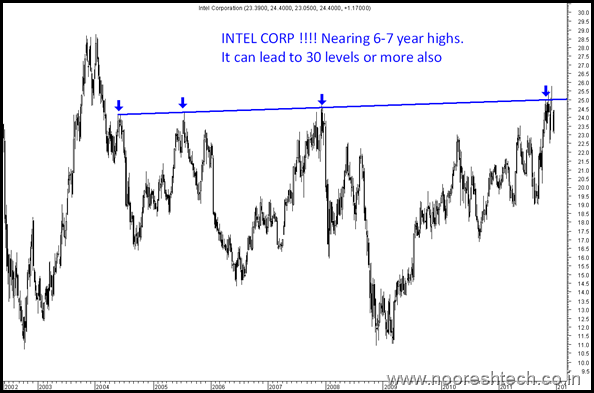 Intel --- This is a favorite of one of my techie friend based in US. 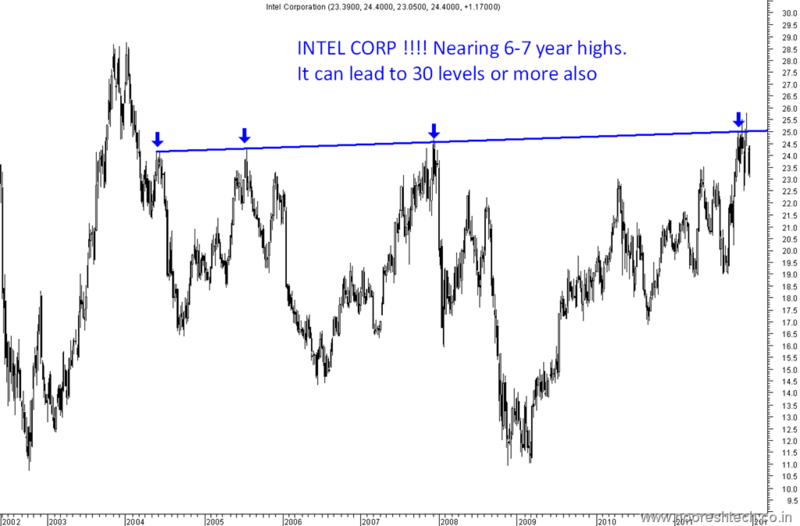 Now the stock is at 6-7 year highs. Sustaining 25-25.5 can lead to 30 + !. 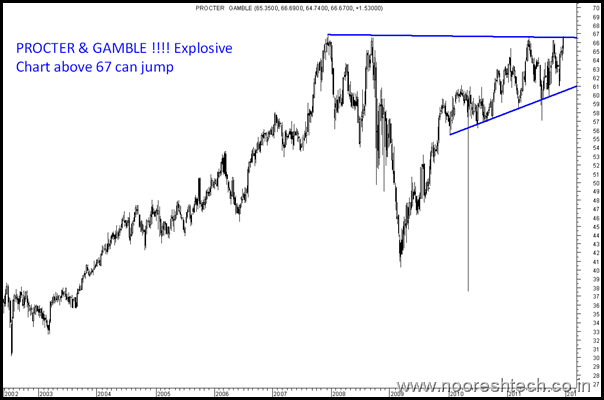 Procter & Gamble ---- Now this stock is closer to 2008 highs and already 5-6 times. Above 67 we can see a quick jump. 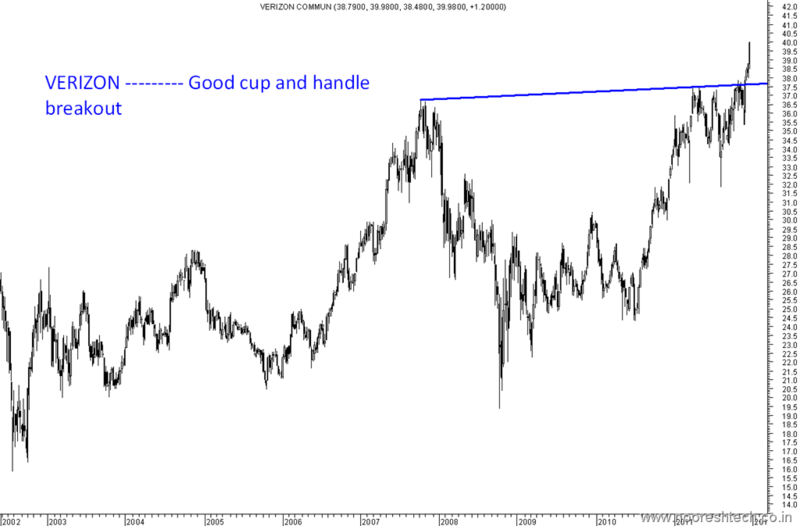 Verizon ----- Now thats a clean cup and handle breakout !! 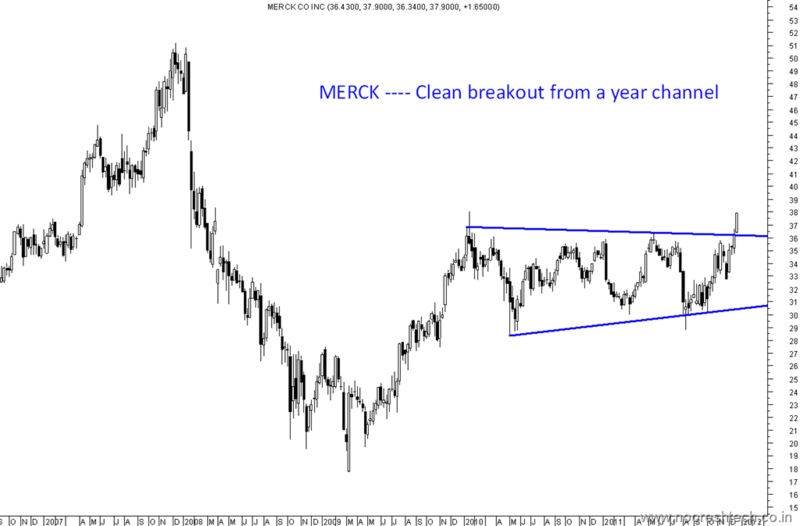 MERCK --- Another clean breakout. A good 10-15% jump still left. 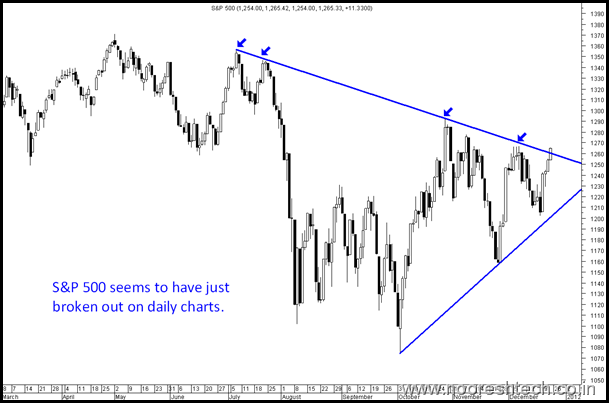 S&P 500 ------ A fresh breakout on daily charts !! 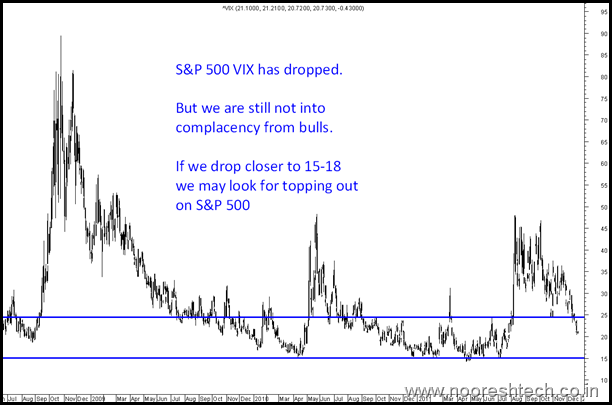 We had looked into this S&P 500 VIX in our post about Fear hit a 10 year high around the world. 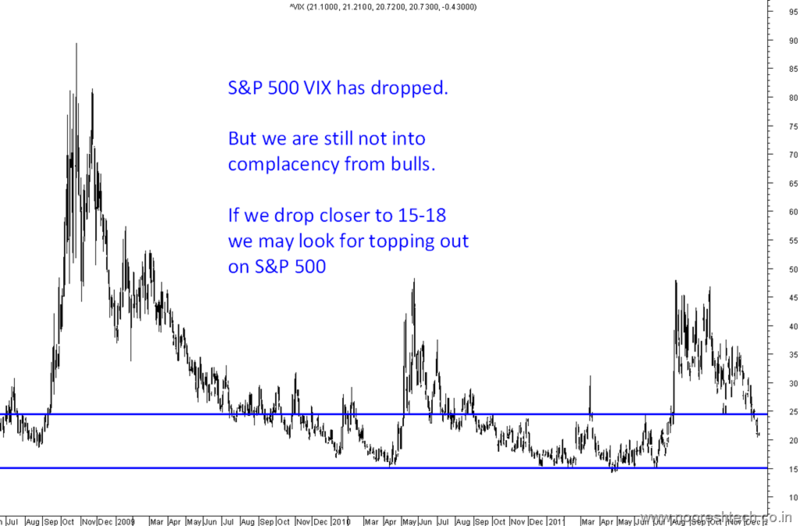 The VIX has tapered down but we are still not in complacency from bulls. So we will review this only if we go to 15-18 levels. 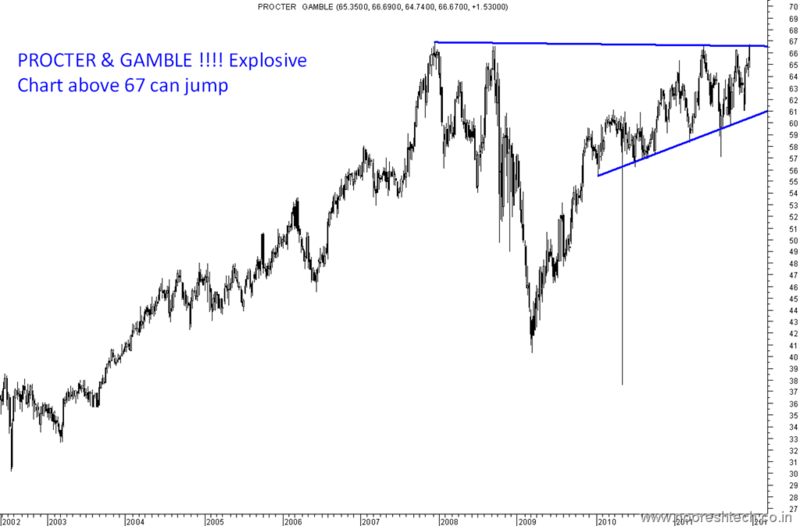 Well this may not impact Indian Markets but at least there are no shocks from the Global market expected. 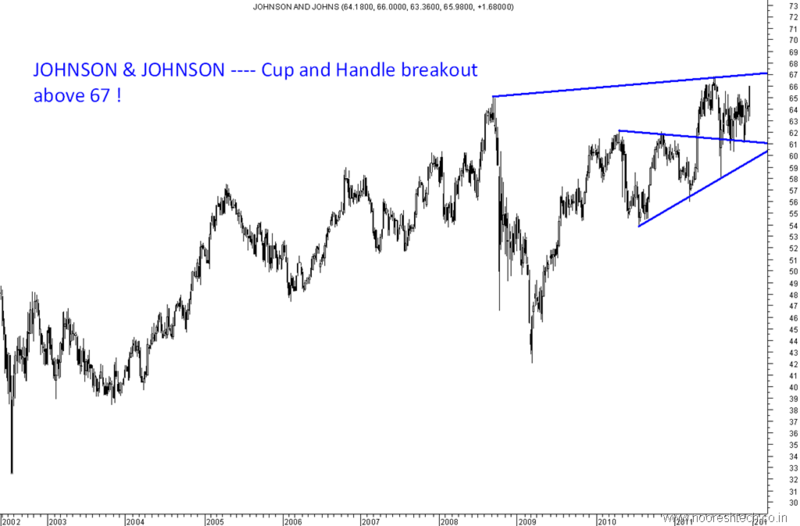 The view remains to stick to quality stocks and right now have set sights on LnT and BHEL to be looked into in large caps. Btw Smartlink has tocuhed 52 levels up 20 % from 42. Maintain my long term hold on the stock. NESCO is a good bet at current levels keep on accumulate. Do your own research. today i sold Smartlink at 52.35, purchase average value was 44.16, can i re purchase these stocks around 48 again for next up move or what should be the ideal price for re purchasing ?? Really good analysis nooresh. Please keep up the good work. 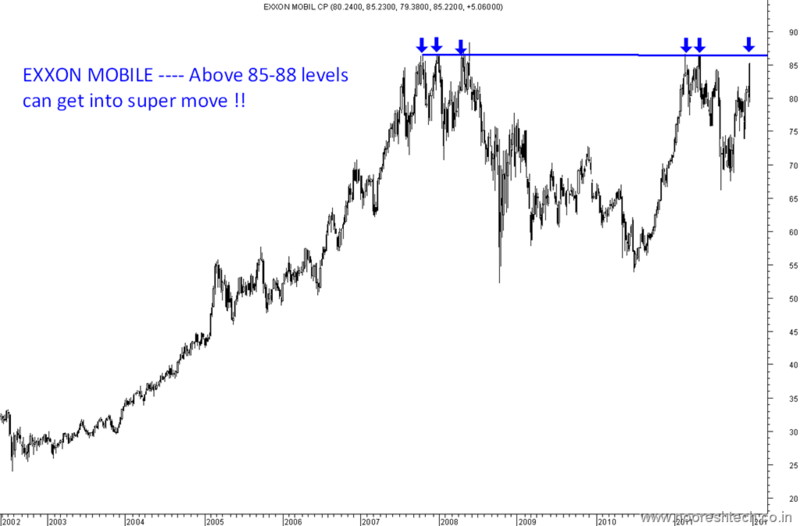 Sir is it right time to start buying BHEL? As a trader 220 will be a stoploss. Investment one should keep a stop of 190. 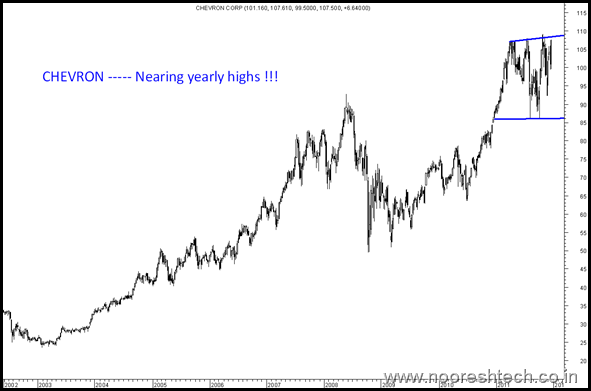 I want to invest in Balmer Lawrie & Co. at which level should i invest for long term of 5-10 year as i think it is fundamentally very strong company. i want to buy 500 shares, how much downside i can expect in this downtrend. Yes that stock comes into radar in every bear market. 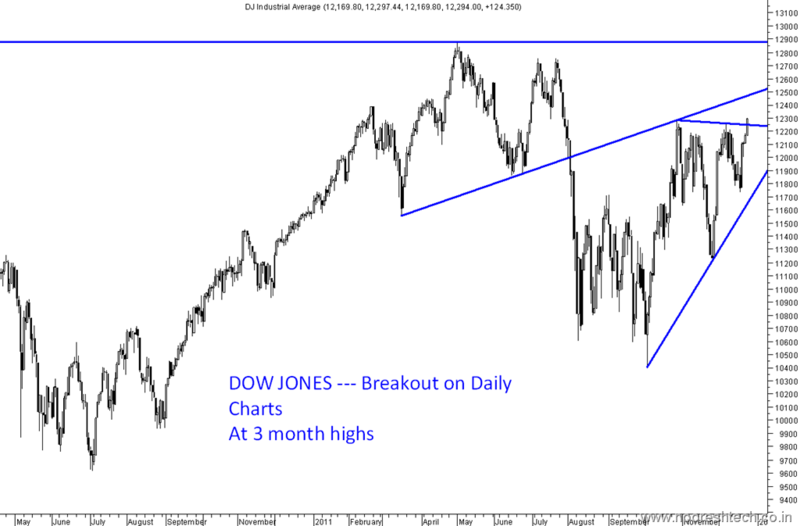 So falls should be accumulated and from current levels 10-15% correction or more will be temporary. But dont expect super normal returns from the stock. 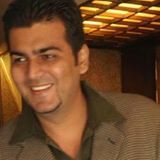 Thank you Nooresh ji for ur valuable advice. What is the reason for SMartlink hitting lower circuit on friday, shall i expect to catch that around 41-43 in this down trend ?? I want to invest in BHEL, ONGC for time of 1-2 yrs. What one is good to pick ? Any other suggestions ? 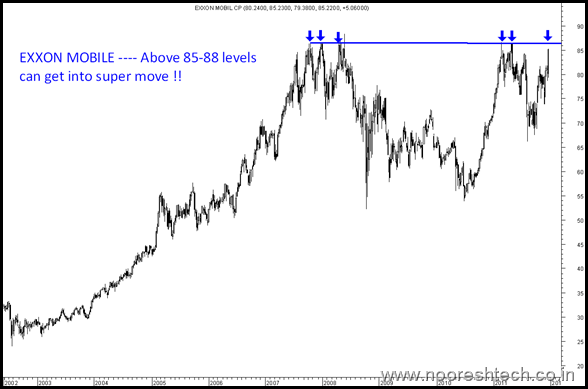 BHEL at 230-260 seems a better bet. And why stick to PSUs?